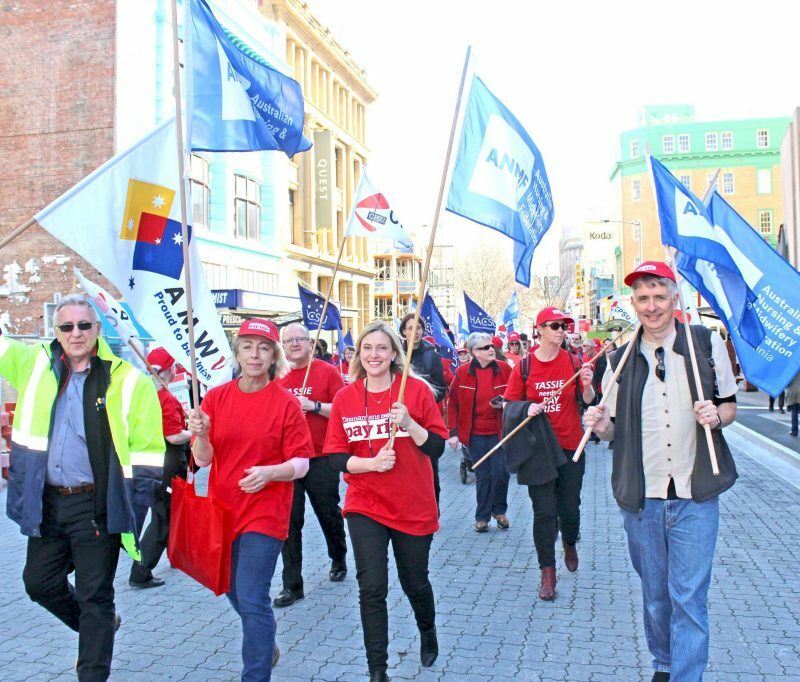 In late August ANMF, alongside fellow Tasmanian Unions, HACSU, AEU, CPSU, United Voice and the UFU joined together to support Tasmania’s public sector workers in calling on Premier Will Hodgeman to scrap the 2% wage cap. The campaign launched with a three day blitz across the state. Below is a highlight of activities. On Tuesday 21 August, day one of the campaign, the ANMF participated in a number of Joint Union events in North West of the state. ANMF Branch Secretary, Emily Shepherd and Organiser, Noni Morse braved the morning chill to wobble board on the corner of Steele Street and Formby Road in Devonport. The aim of the activity was to create curiosity about the campaign for the coming days activities. On Wednesday 22 August, day two of the campaign commenced in the north of the state. 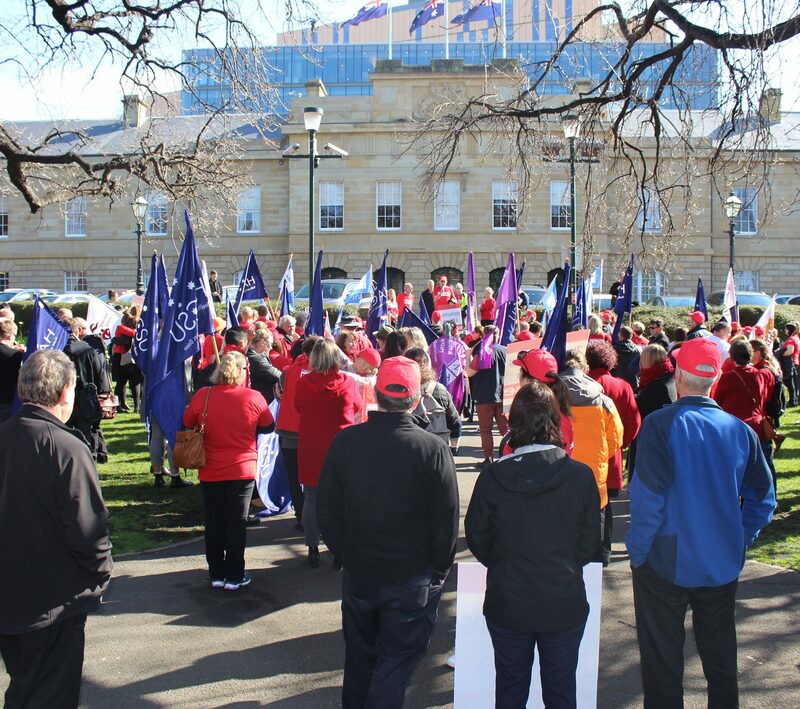 ANMF staff and members attended a number of activities in solidarity with our union colleagues. With morning wobble boarding waking us up, we moved on to the Launceston General Hospital (LGH) for joint Workplace Rep meetings to launch the ground campaign for health. Workplace Reps were briefed before hitting the streets for a city walk in the CBD where union officials and union members handed out information flyers to the public outlining the key components of the campaign. The day finished with wobble boarding and solidarity drinks at the pub in which unions were able to reflect on the days activities and discuss actions moving forward. 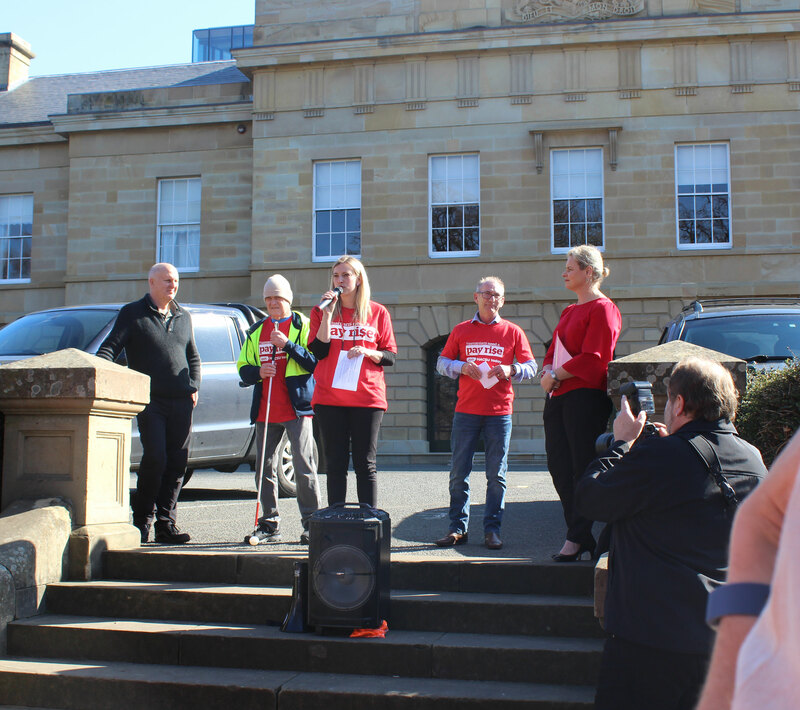 On Thursday 23 August, day three of the campaign, Tasmanian unions, public sector workers and community members joined together in Hobart to support the campaign in the form of a street walk, rally and a number of other activities. The day started with some morning wobble boarding in and around key traffic routes in Hobart. ANMF and HACSU Organisers met with Workplace Reps at the Royal Hobart Hospital (RHH) to discuss the campaign and collect pledges from supportive members before making our way to the health street walk and rally. It was great to make our way through the wards to gather as many able and available bodies to join a combined union walk from the city to Parliament house. 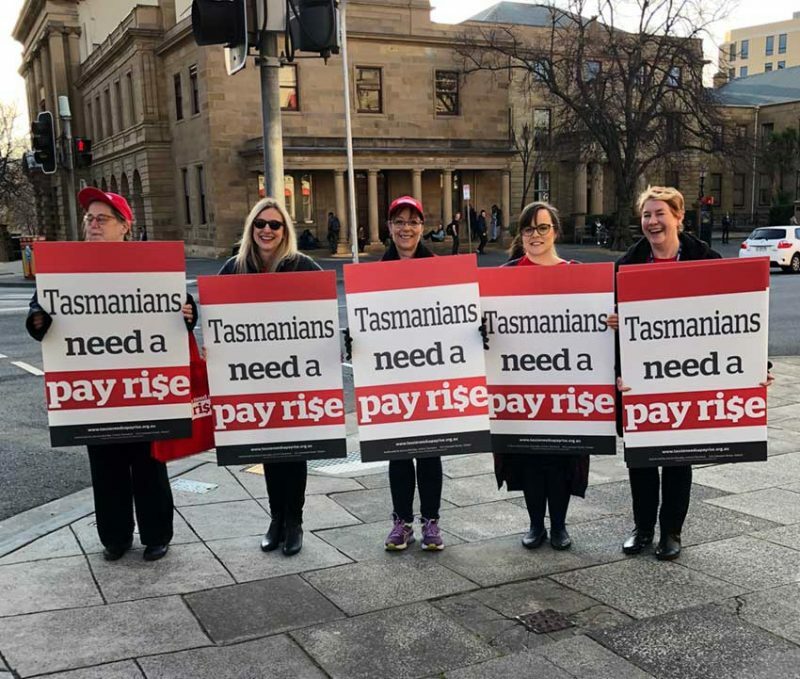 After some afternoon wobble boarding to round off the campaign, supporters made their way to the pub for a celebratory drink and talk from Jessica Munday, Secretary for Unions Tasmania. The night ended with a rendition of ‘Solidarity forever’ lead by members of the Tasmanian Grassroots Union Choir.